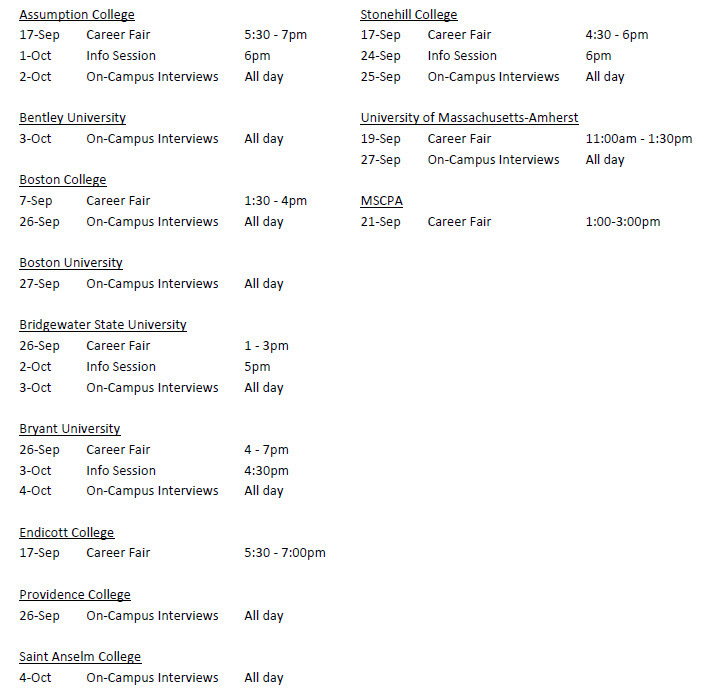 College Recruiting & Internships - O'Connor & Drew P.C. We are interested in people who want a professional career in our firm. Entry-level staff should have a bachelor’s degree and be qualified to sit for the CPA exam. Staff accountants participate in all phases of field work for audit and review engagements. In addition, they are responsible for the preparation of financial statements and income tax returns. Staff accountants utilize various audit and tax software programs, execute spreadsheet applications and communicate with clients. Our entry-level staff start in September and immediately attend a formal training program. This program is designed to teach entry-level staff the basic policies and procedures of the firm. New staff members prepare workpapers, financial statements and income tax returns for a sample company. This training helps to integrate our entry-level staff and enable them to be proficient in their assigned client tasks. 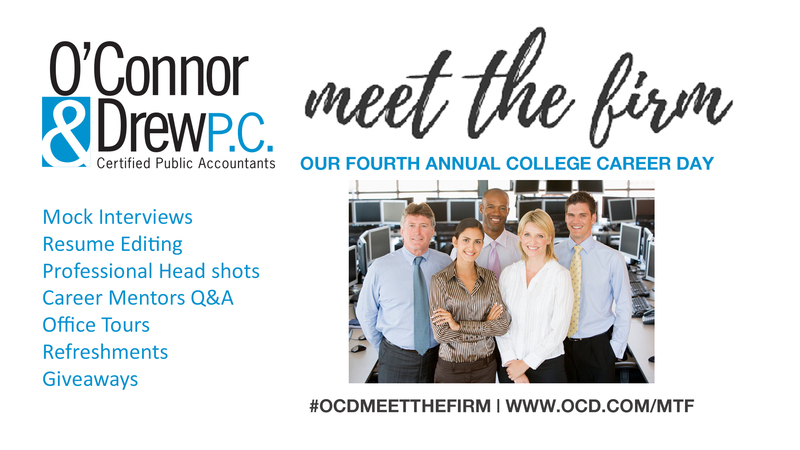 Also, visit our Meet the Firm page to see the details of our annual 2018 in-firm career event! Students working at O’Connor & Drew, P.C. participate in field work for numerous audit and review engagements. In addition, they are responsible for the preparation of financial statements and income tax returns. They utilize various audit and tax software programs, execute spreadsheet applications and communicate with clients. Students work closely with members of the accounting and tax departments and receive on-the-job training. An automobile is required for this position. Paid internship positions are full-time, June through August.